As one of the first lines of defense your home has against inclement weather, it’s important to keep your roof in great condition. Tristate Roofing is proud to be a leading Lake Stevens roofing company that offers comprehensive solutions that ensure the protection and safety of your home and family. When you’re in need of roof repair, you don’t want to allow the problem to get worse by delaying service. At Tristate roofing, we provide fast response times and service appointments to return your roof to prime condition as quickly as possible. Even though we offer quick service, you never have to worry about quality. We stand behind our work with long-term warranties, so you can trust you’re receiving convenient services that provide lasting protection. As far as home improvements go, a roof replacement is one of the largest investments you’ll have to make, so you want to be 100% confident in the professionals you choose. With over a decade of industry experience, premium products from industry-leading brands, and an A+ rating from the BBB, you can choose Tristate Roofing in complete confidence. For something as important as the safety and protection of your home and family, you want to be sure you choose experienced contractors. The certified contractors at Tristate Roofing have extensive training, skill, and industry experience, ensuring you receive top-quality installation services. Whether you’re looking for a strong, metal roof or a customized appearance with shingles, the experts at Tristate Roofing have everything you need. 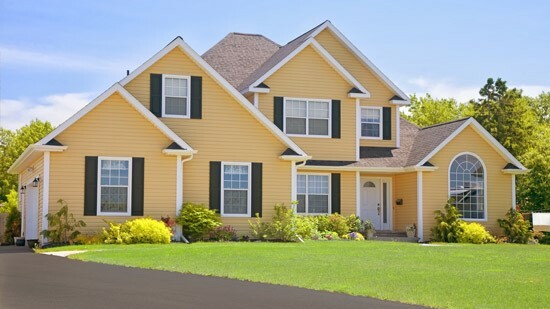 Ready to add value, curb appeal, and protection to your home? Get in touch with the experienced professionals at Tristate Roofing today to find out more about our high-quality products and roofing solutions. Give us a call or complete our online quote form to request additional information and your free, no-obligation project estimate.